The slowdown on the world economic front started in the year 2000. This led to some remarkable cut-backs in financial services, consulting, airlines, telecommunications and tourism. The rise of international terrorism and the fall of many big organizations have led to loss of very many jobs. This has greatly affected most economies and the overall lifestyle of many people. Today, it is even more difficult for people looking for new opportunities or a change in their career. It is therefore no surprise that people are now looking for international business opportunities. However, for you to join the international business, you have to be well informed and ready to take risks. There are varied entry-level jobs available today depending on experience and field of interest. International business opportunities & trends reveal that companies prefer the employees to be fully trained in the domestic operations before they send them abroad. Size of the firm, geographic location, and qualifications of the employee are some the deciding factor of the salary package. Each year, billions of dollars in goods and services are exchanged in global business opportunities. Although there are very many different ways to get involved in business on an international level, the global international opportunities and trends reveal a few of the more popular ones. 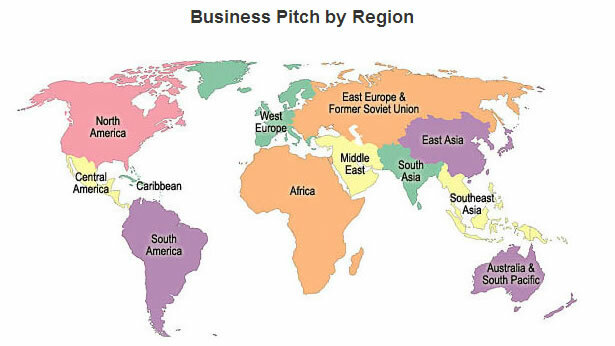 Read on to see some of the best international business ideas and opportunities. Buying goods overseas and selling domestic products abroad is one amongst the oldest ways of doing international business. If you are thinking of starting an import-export business, be aware that there is a lot of preparation involved. This business is a potentially lucrative business. The success of the business depends on a company’s ability to properly set up the business and keeping within the trade guidelines in your country and the countries you plan to import or export goods for profit. Also, make sure there no trade barriers or embargoes set up against any of the countries you plan to work with. Licensing, in the business world, is the contractual agreement to use brand name, property or patent owned by another company. Take a good example, a greeting-card company can get the license to use some images of 'The Simpsons’ or 'Hannah Montana’ characters on greetings cards. When a company enters into any licensing agreement to use certain celebrity, property or characters, they become the licensee. The licensing agreement is then structured, stipulating all terms, conditions and the fees to use certain names & images on the products. Keep in mind that you have to follow the right licensing agreement to do your business abroad. There are plenty of companies who are not only too happy to sort out all your legal issues in foreign lands while doing your business. Franchise is the business that actually operates under a certain existing brand name. Very many popular companies are franchises including H&R Block and McDonald’s. When you open a franchise, you gain instant brand & name recognition, advertising, employee training, and marketing. A franchise opportunity allows many companies to expand their locations and still maintain their own brand control. In most cases, these products include services, products, formulas, employee training, pricing and overall look of a business. Basically, franchise is a common and a great way to expand your business abroad. Outsourcing is when a company uses a 3rd party to carry out some of its work. Potential benefits of outsourcing include lower costs, access to great skills and experience and more efficient scaling of a company’s own business activities. As the domestic labor costs are quite high in countries like US, the companies get their products manufactured in other countries where labor costs are cheaper. The international contract manufacturing is another of the most common international business opportunities. When a country outsources the manufacture of some products to countries like China, this results in lower prices of products. This creates an ideal marketplace where producers of similar products must also look for cheaper and efficient methods of manufacturing. If you are looking for the best international business opportunity, it is very important that you do some research. For example, if you have a product you want to sell, you need to research markets in different countries and learn if there is room for your own products. You can research online or hire a market research firm for more information.